The Old Mill Inn completed the painstaking restoration of our original 19th-century cupola, complete with a new copper weather vane, as part of our ongoing renovation project to restore and maintain many of the Mill’s original features. We completed this particular project in late October, and restored many of the cupola’s original features including wide high curving hip roof, trim work, replacement of circular shutters that had been removed in the 70s, tapered base with horizontal face boards, and a new copper Victorian weather vane. 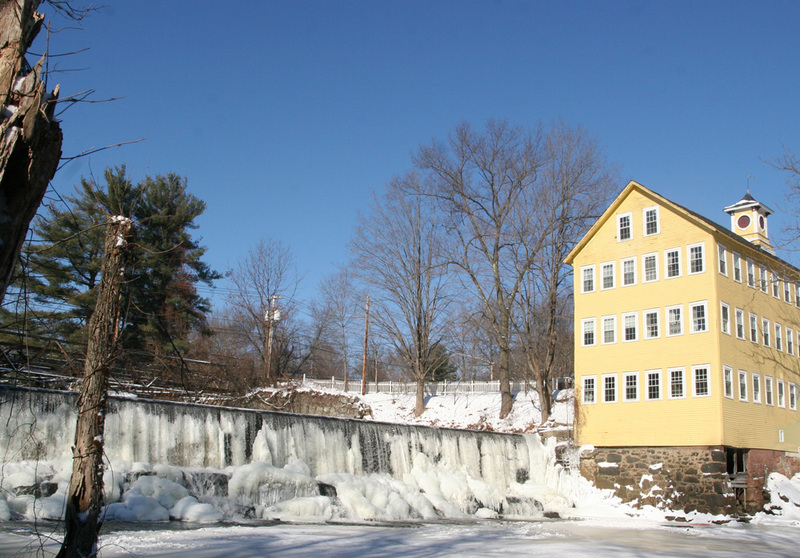 The Old Mill is part of the historically significant Mill District and is on the National Register of Historic Places, having been at various times a grist mill, gun shop, spark plug factory, and in its most recent incarnation, 12-room inn on the Mill River and a town landmark. We are excited announce the opening of Mill District Coffee at the Old Mill Inn! We are open Saturday and Sunday from 10:00 AM – 4:00 PM offering specialty coffee drinks and other refreshments as well as a selection of delectable panini sandwiches and fresh baked goods. Please feel free to stop in and grab a freshly brewed espresso, latte, cappuccino or other coffee drink made with freshly roasted coffee from Rao’s and Indigo Coffee, our local roasters. Take a moment to enjoy your coffee listening to the sound of the river or sit on our deck with a view of the falls. With a vintage industrial theme and comfortable seating for 40, we are looking forward to a new meaning of “grind” at the Old Mill Inn and offering a welcoming place to meet with friends and colleagues in Hatfield over a cup of Joe (or tea, or Italian soda. . .) Our Inn guests will be able to pick up a sandwich for the road or a quick snack at check-in, and enjoy a specialty drink “on the house” during breakfast. From January – March 1 get 20% off a two night stay. * You can bet there will be snow on the ground, but it adds to the charm of the Inn and the cold temperatures won’t stop our waterfall! Holiday shopping doesn’t get better than the stores at Yankee Candle Village www.YankeeCandle.com . Their flagship store is just a short drive down the road in Deerfield. With fabulous Christmas lights and decoration, and of course their world-famous candles, visitors come from all over the country just to visit this famous store. Experience extraordinary dining after a day of shopping at Chandler’s restaurant, situated just behind Yankee Candle. Are you an aspiring chef, or perhaps just a hands-on foodie? 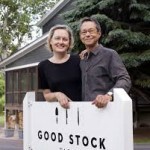 Our lovely neighbors at Good stock Farm offer cooking classes taught by Sanford D’Amato, a James Beard Award winning chef, author and restaurant owner with four decades of international experience cooking and teaching. You can learn a few of his 1000+ recipes in his own kitchen with personalized classes offered year-round. Check out Good Stock’s class schedule. 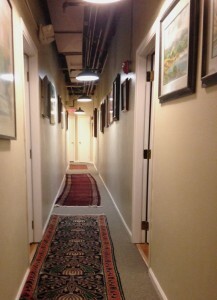 Good Stock Class participants get a 10% discount off their stay at the Old Mill Inn. Northampton is just a few miles away from bucolic Hatfield, but is rich in cultural capital and is widely known as a premiere dining and entertainment destination in the Pioneer Valley. Catch a show at the Iron Horse music hall or the Calvin Theater www.iheg.com and then experience fine dining at one of Noho’s many diverse establishments visit noho.com. 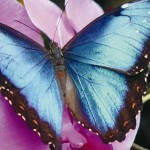 Butterflies in the middle of winter? You bet! Experience Magic Wings Butterfly Conservatory & Gardens, open year round and offering the unique an opportunity to stroll in an 8,000 square-food indoor conservatory , surrounded by more than 4,000 butterflies in a tropical environment. The conservatory is open every day except Thanksgiving and Christmas Day, and you can also pick up a meal in their Monarchs Restaurant. 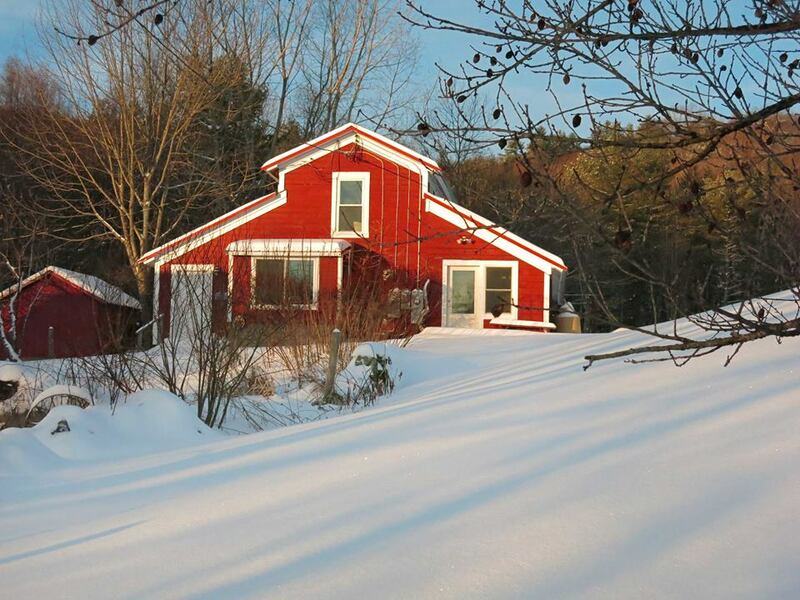 Interested in wandering a little farther afield and a drive with views of the snow-covered hills? If you’re a Norman Rockwell fan, you’re about from the Normal Rockwell Museum, and the picturesque Town of Stockbridge, offering what many consider the best of small-town New England and “the most famous Main Street in America,” immortalized in Rockwell’s paintings and instantly recognizable to his fans, especially this time of year when the town is blanketed in snow. The Old Mill Inn is starting a new program this spring seeking new and original artwork for display and available for purchase on a consignment basis. Entitled ‘Off the Wall’, The Old Mill Inn will feature works by artists throughout the Pioneer Valley. It is a rare opportunity for locals and tourist alike to purchase original pieces at the very reasonable prices. Artist are asked to submit work priced at three different tiers of $100, $200, or $300. New collectors can begin their acquisitions, and seasoned collectors can add to theirs. The Old Mill Inn welcomes hundreds guests each year from all around the world and sees an opportunity for them to walk away with a piece of Hampshire County. Curated by Georg Burwick, former curator at the UCR/California Museum of Photography in Riverside, California, works will be selected on an ongoing basis starting in March 2014. Sale is ongoing and doors open daily at 10:00 a.m.
For more information, call the Old Mill Inn at (413) 247-3301 or email us at georg@oldmillinn.ma. For the past six years The Old Mill Inn has relied on others to help plow and clear snow from our parking lot, sometimes keeping guests longer than they wanted to stay. This year we have a new addition to the team, “The Boss”! So far we have had two seasonal snowfalls and our plow has kept up with demand allowing our guests to come and go as they wish, with no delays. The town of Hatfield has a great public works whose timeliness in removing snow this year has kept up with demands. We hope you will visit us this Winter! It is the end of the season for our frogs and soon they will be hibernating for the winter. Our young frog caretaker has been watching and studying them all summer and has provided us with a post summer reflection. We hope to see them again, safe and happy, next spring. 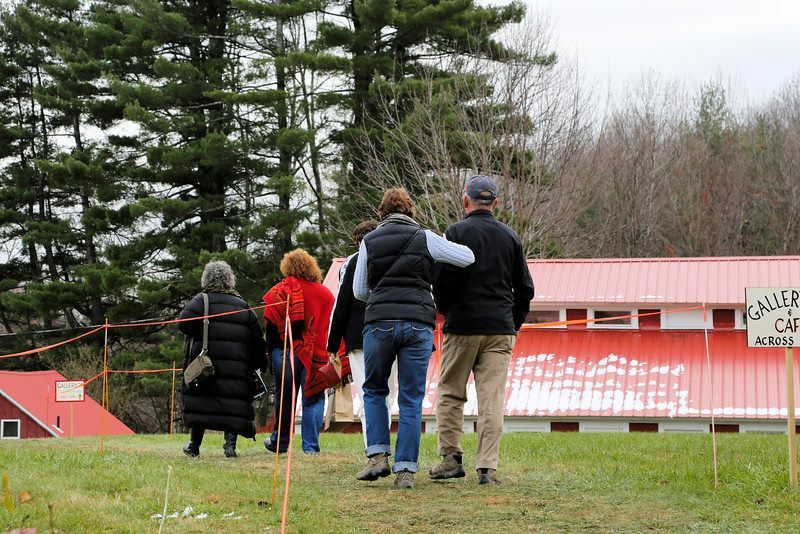 Enjoy a two-day craft workshop at Snow Farm and two romantic nights at nearby Old Mill Inn. Arrive on Friday night for champagne (or sparkling cider), decadent chocolate, and a vase of roses in your room. Make Art with Someone You Love Enjoy a sumptuous breakfast, then head out to Snow Farm to fire up your creativity. Workshops include mosaics, glass beads, kiln glass, pottery, metalsmithing, and animation. Small classes. Beginners welcome. Dine in any of the excellent nearby restaurants on Saturday night or work late in the studio. Create your best Valentines Day in Western MA! To claim this offer please visit Snow Farm’s website and find your class using their online calendar. Once you have reserved your space contact the Old Mill Inn with your promo code to redeem special Valentine’s Day rate. Space is limited and given on a first come first serve basis.